Love a bargain? 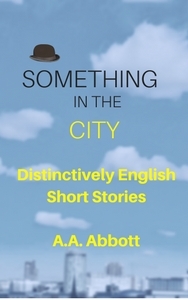 Get Something In The City, an e-book of short stories, FREE when you sign up for my newsletter. (You’ll receive short, interesting updates once or twice a month, and you can unsubscribe at any time.) 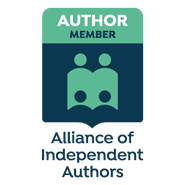 Not every tale is a crime story – there’s a dash of romance and horror too – but they’re all a great read. The book’s also a whistle-stop tour around England, with settings in sleepy Somerset as well as the busy cities of London, Birmingham and Bristol. These are places I know well, and it’s no surprise that they also pop up in my full-length crime thrillers. 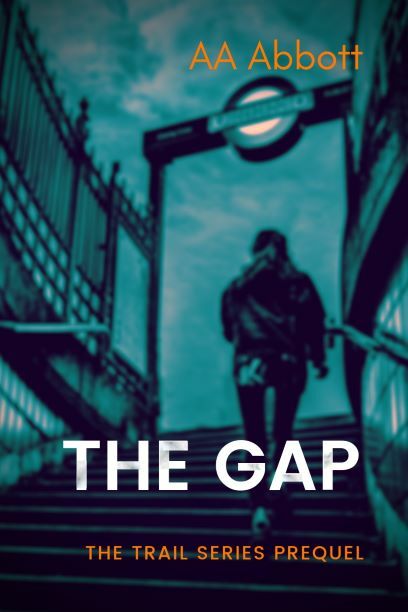 You’ll also like “5 minute crime thriller” The Gap, available here for free, especially if you’re short of time. It’s a taster for my Trail series of crime thrillers (which you can order from bookshops or Amazon*. You can also download samples from Amazon* to try before you buy). Even shorter is The Harbour Festival, a piece of flash fiction performed at a Bristol Harbourside Story Walk on National Flash Fiction Day 2016. Read The Invisible Woman, my entry for the same event two years later, with other competition winners here. Mr Fripp Takes a Trip is my guilty pleasure, and I bet you’ll love it too. Writing it was a blast, drawing heavily on my youthful experiences of office life and getting smashed with colleagues on Friday night. I can still picture the concrete-clad wine bar where the action takes place. This isn’t a crime story, just a fast, fun read with a few laughs thrown in. 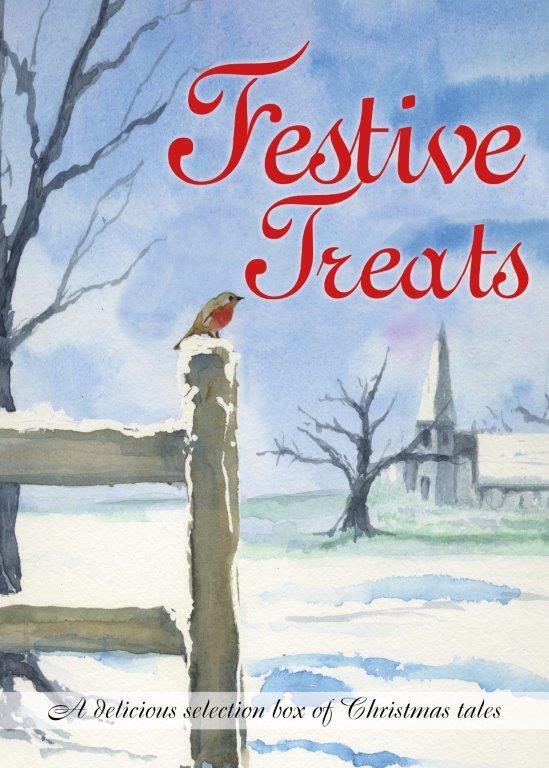 Although Christmas comes but once a year, Festive Treats* is the Christmas short story collection that just keeps giving, because it’s free on Amazon* all the year round. Featuring a selection of sparkling tales from superb British writers, you’ll find I’ve contributed a festive ghost story that’s more heart-warming than chilling. Pour yourself a festive drink, and enjoy. *I’ve given Amazon UK links above, but Festive Treats is available on other Amazon sites too. I’m aware that, although it should be free, Amazon sometimes lists it on sale for 99 pence/99 cents. If that’s the case, please email me and I’ll let the publisher know. I write short Christmas crime stories too. Check me out in my Santa hat and Christmas jumper, reading The Good Neighbour and The Crazy Cat Lady Christmas on video. To enjoy a great read yourself, download The Good Neighbour here – and enjoy an insight into the serial killer nicknamed “The Santa Slasher”! There’s also a little number I wrote specially for New Year’s Eve. Broadcast by BBC Radio Bristol’s BBC Upload programme on 21st December, The Magic Money Tree is a crime story around six minutes long. Listen at 39 minutes into the programme, and enjoy the tension and twists in the tale! 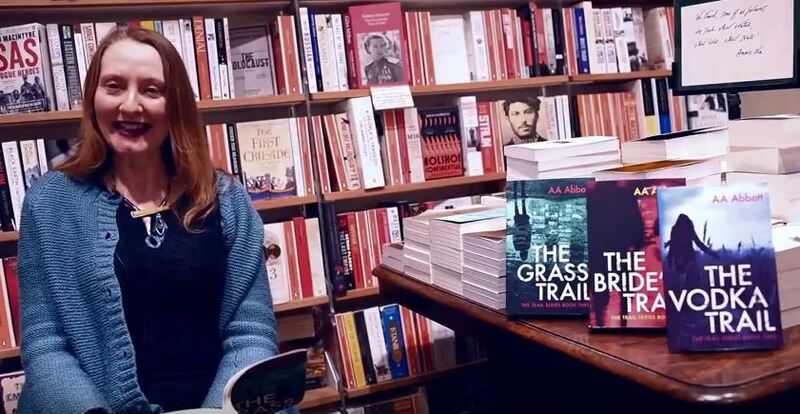 You can see me reading the story (in another sparkly jumper) in this video. Download the short story to read yourself here. 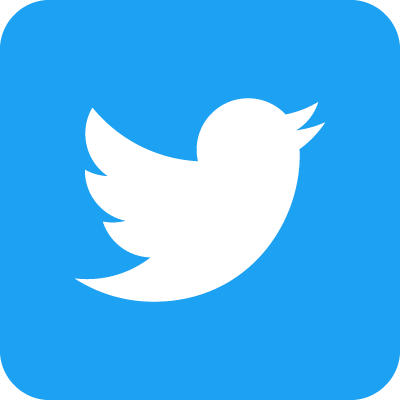 I often read stories in public, and it would be great to meet you! 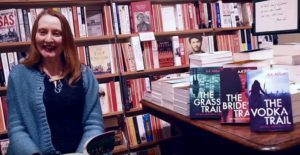 Check out my News page, and this video of a reading of the first chapter of crime thriller The Grass Trail at Hatchards bookshop in London.